Leading food service provider in the midwest through its vending, markets, dining and catering solutions. 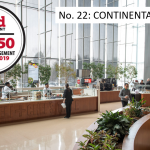 Continental Services provides its clients with technology-enabled vending, dining, markets, and catering options that maximize convenience and emphasize a quality food experience. 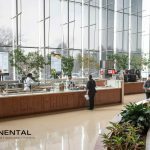 As one of the largest franchisees of the world’s largest food service provider, Compass Group, Continental Services has an excellent reputation serving a diverse, blue‐chip client base with an outstanding customer retention rate. Continuing on its past success, Continental Services will grow through a combination of organic expansion and carefully targeted acquisitions.